A high and full forehead is generally consider a beautiful facial feature across different cultural backgrounds. In the Middle Ages, European aristocrats often shaved or bleached their eyebrows to give the illusion of a fuller forehead while in ancient Egyptian civilization, body modification to elongate the forehead with binders at an early age is common practice within the palace grounds. 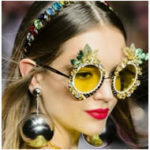 In modern day aesthetics, a high forehead makes the rest of the face look smaller and thus more feminine.In both the East and the West, there are no shortage of celebrities with beautiful, prominent forehead – Aishwarya Rai, Ziyi Zhang, Zoe Saldana, Kate Beckinsale and Victoria Secret’s supermodel, Selita Ebanks; just to name a few. Forehead depression and hollowness is one of those prominent feature associated with an aging face while the gentle fullness of a high forehead represents youth and perhaps intelligence, making it a more desirable trait. So what can be done to bring us closer to this highly coveted benchmark of beauty? Let us count the ways. Forehead wrinkles likened to tram tracks create grooves and furrows that not only add years to one’s actual age but mar the beauty of the forehead too. Botox (Botulinum Toxin) or Anti-wrinkle Microinjections, is amazing for erasing forehead wrinkles. With a couple of small injections and over the course of a couple of days, it could literally take ten years off your appearance. Botox is one of the safest cosmetic procedures and the fact that it has been around for decades and continues to be in high demand attests to its efficacy and safety margin. However, when it comes to treating forehead wrinkles, less is perhaps more and one should be wary of falling prey to ‘chasing lines’; often winding up as frozen wax figurines devoid of facial movements. Hugely popular in the land of Kimchi and K-pop, forehead augmentation employs injection of lipo-suctioned fat obtained from the patient’s own body to create the desirable amount of forehead fullness. Since there is no surgical incision on the forehead, recovery is fairly rapid and there is no tell-tale scars of previous surgery. As with all fat grafting operations, fat survival is highly technique-dependent. The final forehead contour which because of irregular survival and loss, may appear somewhat irregular or lumpy especially when performed by inexperienced injectors. Significant bruising is another major drawback with a downtime of 5 to 7 days during which the forehead may have to be bandaged to control swelling and for better shaping. Baby Face Restoration Fat Grafting is a process whereby your own fat is harvested from your body,most commonly obtained from the thighs or abdomen, but technically, almost any site can be used. The harvested fat is then purified to extract the young fat cells. The latter is then injected through a series of carefully placed facial microinjections through a fine cannula passed many times through the tissues at different levels to restore and replenish your face’s lost youth and vitality, including forehead enhancement. It is usually done under local anaesthesia, but patients may also choose to have light sedation.The goal is to build volume to areas of generalized or discrete depression and create a less sloping contour on the highest third of the forehead.This is an extremely well-tolerated procedure, and one of the benefits of fat transfer is that latest innovation led to improvements of long term survival of grafted fat. Post operatively there may be some swelling, and occasionally bruising for up to 7 days. Many patients find that the results last many years with some even reporting them as permanent! Read More: Do You Really Need Silicone Makeup Sponges? 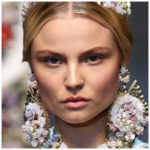 If fat transfer sounds a little too invasive for your liking, consider an alternative form of forehead augmentation done with Natural Facial Fillers. Many believe that this procedure gives equally good results without the prolonged downtime. Targeted to lift and hydrate tired and lackluster skin at the same time, the cutting edge Revitalift offered by the SW1 Clinic is an extremely safe procedure employed to create a full and elegantly contoured forehead. Thanks to an exclusive patented bio-synthesis process, the pure hyaluronic acid used is highly identical to our own skin’s polymer, and hence maintains high bio-compatibility, is readily incorporated and will be metabolized by our skin’s natural processes. Improvements are apparent even after the first treatment with close to zero downtime. It can be done conveniently as a ‘lunchtime procedure’ at 3 to 4 weekly interval in order to build up your skin’s reserves for optimal bio-revitalization and longer-lasting results. Maintenance treatments are typically done 2-3 times a year, giving you curves representing youth and vitality. It is important to note that the temples contribute immensely to the beauty of the forehead so while concentrating on the care of your frontal curves, never lose sight of your sides. The loss of fat or fullness of our temples could be due to congenital hollowing or more likely, secondary to aging or general weight loss especially with dieting. This accentuates the bony contours of the skull and lend an overall sunken, tired and unhealthy look that aged one immensely. In recent years, doctors and patients alike are paying more attention to these oft neglected signs of aging which are pretty easy to fix and quickly reversed with the judicious placement of Hyaluronic Acid Fillers such as that used in Voluma High Definition Lift. Being extremely cohesive and moldable at the same time, Juvéderm® VOLUMA® is the latest generation of hyaluronic acid facial volumizers that promises even greater facial volumizing effect with smooth and longer lasting results. A 30 minute procedure that helps to turn back the clock and shave more than a mere couple of years away. Reality superstar and fashion icon, Kim Kardashian loves to wear her hair pulled back in a ponytail or top knot to show off her stunning, high forehead. She confessed on Tweeter to using waxing strips to get rid of the fine baby hair on her forehead for a more distinct hairline, a stingy procedure which she is not particularly fond of. To lose that unsightly fuzz and for longer lasting results, we think she’s definitely better off if she had opted for Soprano ICE Permanent Hair Removal. Laser hair removal is by far the most advanced, most effective and safest form of permanent hair reduction which combines the ease and speed of shaving or waxing with the long-term benefits of electrolysis sans the side effects. With the correct choice of lasers, both fair and dark skinned ladies can have baby smooth skin in double quick time. 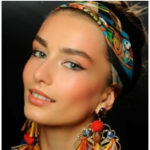 With the baby hair gone, the skin will appear clear and flawless with a luminosity that’s hard to beat on any given day.